Turn off the water at the valve, usually under the toilet tank. 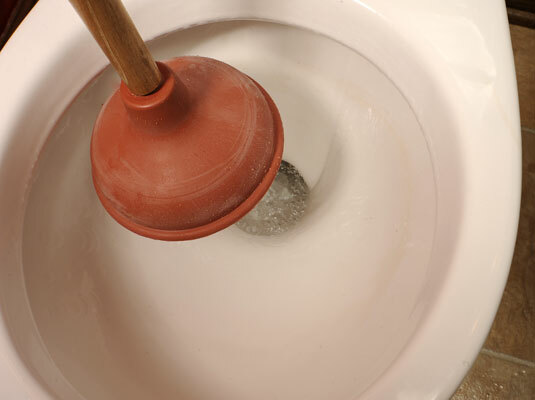 Before using the plunger, turn off the water to stop the toilet from overflowing. 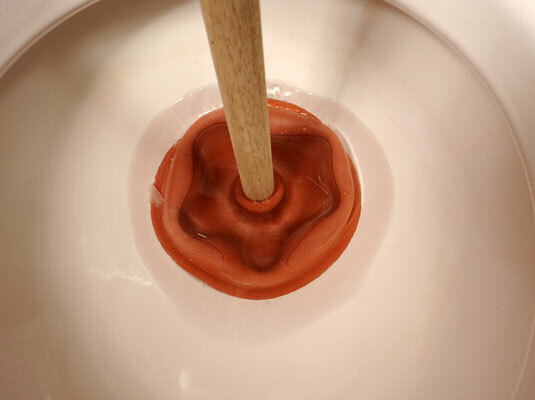 Cover the drain hole with the plunger, making sure there’s water coming up at least halfway up the rubber cup on the plunger. If there’s not enough water in the bowl, pour some in. Be sure to stand the plunger upright over the drain. Following both of these tips ensures a tight seal. 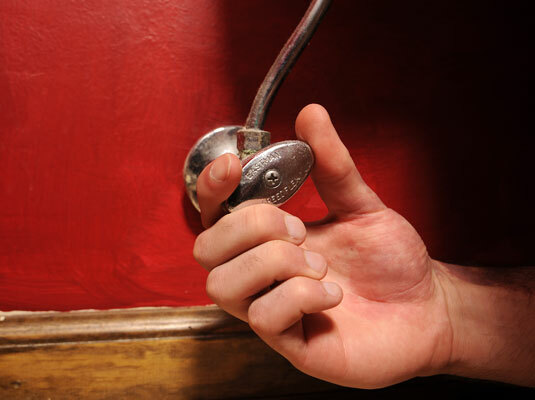 Push the plunger up and down without breaking the seal. 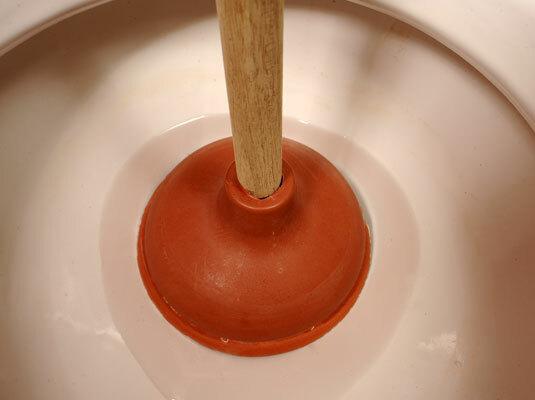 Push the plunger down until it touches the drain and then pull up sharply, but not enough to break the suction. Repeat this a couple of times. Warning: If you used bleach or other chemical on the clog first, don’t plunge the drain without wearing safety glasses. Repeat Step 4, but this time, pull up sharply, releasing the suction. Hopefully, when you release the suction on the drain the clog should be dislodged releasing the water. If there’s no change, repeat Steps 4 and 5 until the water begins to drain. If you’ve tried these steps a couple of times with no progress, it’s time to pull out the plumber’s snake.